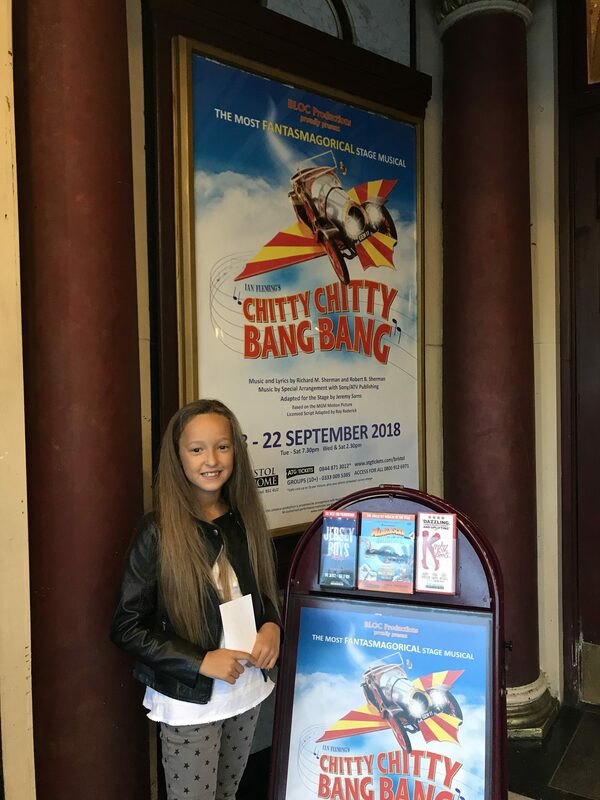 BLOC Productions flew into Bristol this week, with their production of Chitty Chitty Bang Bang at Bristol Hippodrome. Jolie and I were excited to see the show. I have lost count of how many times I have watched the film. It is a real feel-good family favourite. So we had high hopes that the theatre production would be as good as the film. As soon as the orchestra started to play we knew we were in for a treat. And before long the audience were clapping along. The opening scenes saw Jemima and Jeremy playing in the dilapidated car and dreaming of it running again one day. When they found out Mr Coggins was going to sell the car, they begged their inventor father, Caractacus Potts, to buy it. He racked his brains to come up with a plan to raise the money. Including accidentally inventing a musical sweet that he took to the Sweet Factory where he bumped into Truly Scrumptious. He finally raised the money by inventing a haircutting machine. Once Caractacus had brought the car he set about transforming it. Before we knew it he was unveiling a shiny and very impressive Chitty Chitty Bang Bang. Then the four of them headed to the beach for a picnic singing along to Chitty Chitty Bang Bang. Jolie was mesmerised throughout the productions, spotting small details on the set. the costumes were fantastic too. I think most people are aware of the Child Catcher in the iconic film. I left the younger children at home and only took Jolie, 9, as they are easily scared. She had seen the film in the past so was prepared for. Our favourite parts of the show were Truly Scrumptious performing her clockwork dance, it was amazing to watch. 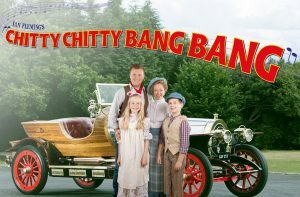 Also seeing Chitty Chitty Bang Bang fly whilst clapping along. And not forgetting the comical Vulgarian spies, who certainly provided many a laugh. BLOC Productions are an amateur theatre group based in Bristol. They were formed in 1933 and since 1956 they have been performing an annual show at Bristol Hippodrome. the production was seamless and it is amazing to think their actors are amateurs as they could certainly pass as professionals. I can officially say that BLOC Productions cast, definitely topped the film and we loved every minute of the show.